The Best Books Ever: Remnants Blog Tour + Win a Kindle Fire HDX or Ipod Touch! 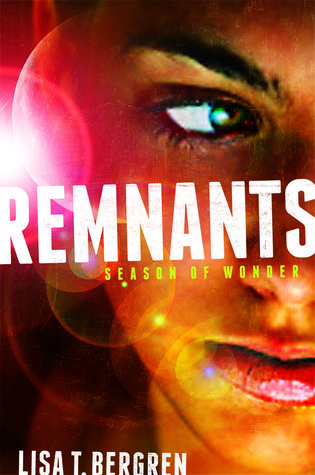 Remnants Blog Tour + Win a Kindle Fire HDX or Ipod Touch! 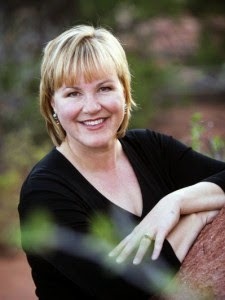 Lisa T. Bergren is the author of over forty books, with a combined count of over 2.5 million copies sold. She has written best-selling children’s books, award-winning YA (River of Time Series: Waterfall), popular historical fiction, contemporary fiction, women’s nonfiction, and gift books. She is a writer and editor residing in Colorado Springs, CO, with her husband and three children. You can find out more about Lisa at LisaBergren.com. All emotions are heightened. This is cool on the good-emotion front, but notsomuch on the hard-emotion front. For singles: You’d immediately know if someone was into you. Now, that might seem like a good thing, but where’s the sweet element of surprise? The delight of slow discovery over time? No, it’d be more like getting clobbered with the news. When other people felt pain/grief, you’d feel it as your own. In an argument, you wouldn’t just feel the impact from a raised voice or tension, you would feel their anger like a physical blow as well. Sometimes you just don’t want to feel anything for a bit, right? Just be neutral. Static. No such thing for an empath. You feel everything, all the time. You’d feel empathy for even your enemies. Yes, yes. I know we’re to love our enemy. But sometimes if you feel too much for your enemy it might overpower you from being wise. People might avoid you because they don’t want their emotions “read” until they’re ready to share them. What’s your favorite and least-favorite emotion? Comment below! One of my favorite emotions is love, of course, and one of my least favorites is dread. Great Excerpt, I love the cover! Can't wait to read the book! My Favorite emotion is happiness, my least would be hatred. Favorite is happy. Being happy for yourself or others is just great. I don't love jealousy because that can lead to other emotions that aren't so nice. Favorite would be acceptance and least favorite would be rejection. I hate to feel so overwhelmed that I cry spontaneously. I hate losing that feeling of control. Favorite is joy. I think it might drive me crazy if I knew every emotion someone was feeling or every thought they are thinking. In some cases, it could come in handy. I don't like hate, rejection, fear, anger and the list could go on. My favorite would I guess be love and unselfishness. Emotions are too difficult to deal with! Wow...I think it would be unnerving to be an empath. You'd have a good idea if people we're being sincere or dishonest. Would make it harder to trust people.